Florio interviewed Ibsen, Children’s Center executive director Fran Albrecht and Dave Curry, Montana director of Fight Crime: Invest in Kids. The organization of 5,000 law enforcement officials from across the U.S has a plan to prevent crime and violence. The plan doesn’t say “build more prisons”. It doesn’t say “create more SWAT teams”. The first of its four-step plan is: “Provide ALL families access to early care and education for kids from birth to age five.” (Emphasis on ALL is mine.) 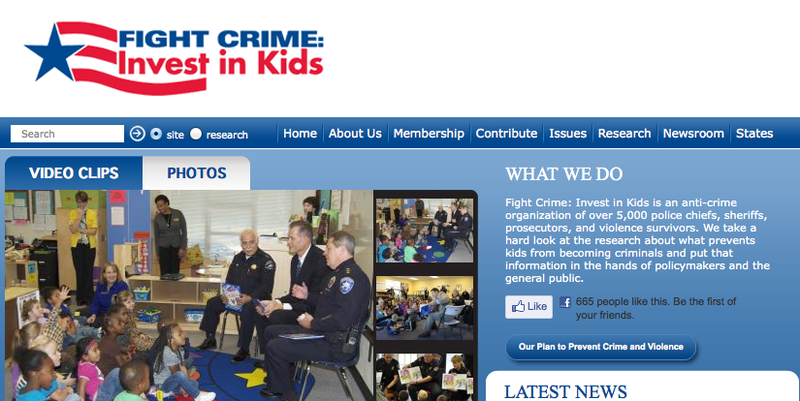 For their other points, check out the plan: Our Plan to Reduce Crime and Violence. PREVENTING CHILD MALTREATMENT and giving a child the best start in life takes more than Nurse-Family Partnership. NFP is only one of several programs necessary to help families, says Dr. Deborah Daro, senior research fellow at University of Chicago’s Chapin Hall, on Huffington Post. One reason is because NFP helps only first-time mothers. Other interventions embrace all at-risk mothers, including the 60 percent who have already had children. The older woman birthing her third or fourth child may have a longer history of multiple partners, educational failures, poor employment history, prior child welfare involvement, and exposure to violence. The odds that these women will experience an initial or subsequent report of maltreatment are far higher than for first-time parents. The other programs that have been proven to work, says Daro, are: Healthy Families America, Parents As Teachers, Early Head Start, Home Improvement Program for Preschool Children, Family Check-Up, Healthy Steps, Child First, and the Early Intervention Progam. For more information about the research behind these programs, go to homvee.acf.hhs.gov. CNN SUMMARIZED THE TRIAL OF MONSIGNOR WILLIAM LYNN, “the highest-ranking cleric charged with endangering children by allegedly helping cover up sexual abuse”, as jurors began deliberating today in Philadelphia. Lynn and another priest have been accused of letting priests that they knew had sexually abused children continue to work in ministries where they came in contact with children. Both have pleaded not guilty, and say that they passed the information up the chain of command. A third priest who was to be part of the case pleaded guilty to sexually assaulting a 10-year-old boydays before the trial. CNN and Philly.com provide links to other coverage and developments that occurred during the trial, including the ouster of six priests by the Philadelphia Archdiocese for sexual abuse. The whole thing is pretty ugly. In other developments that shows child abuse is not limited to the Catholic church, the BBC reports about “Sri Lanka’s hidden scourge” of child abuse by Buddhist monks. Many of these cases – especially those of a sexual nature – were barely reported by the Sri Lankan media and seldom resulted in convictions. Is there any religion in which child abuse does NOT occur?